When you start the game, when you go to leave your home, your mother recommends that you introduce yourself to the neighbours and there you will meet Brendan/May depending on your gender. They will introduce themselves and then mention that they were meant to help Professor Birch catch wild Pokémon. 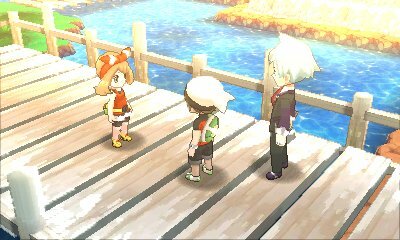 You can find them in Route 103 after receiving your starter, where they will challenge you. 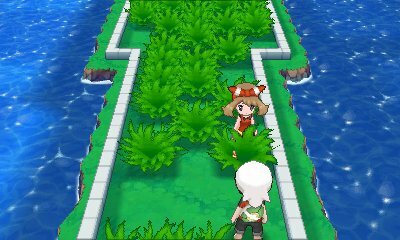 Afterwards, as you go to leave for Route 101 again, Brendan/May will stop you and give you an upgrade to your PokéNav Plus, the DexNav, in order for you to catch rarer Pokémon. 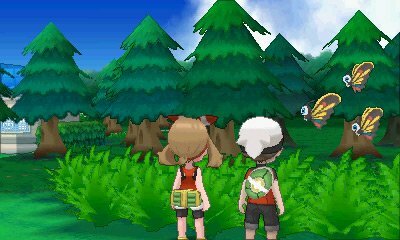 You next encounter your rival in Route 102 to tell you about the DexNav's Detector Mode, showing it off as a swarm of Beautifly fly over towards Petalburg City. 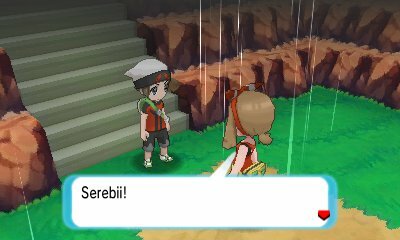 After the fly away, they mention how your father is the Gym Leader in Petalburg City and how they may challenge him once they have trained up their Pokémon more. 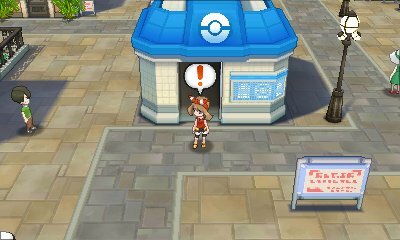 When you enter Rustboro City, you will meet up with your rival again as they exit the PokéMart. They will tell you that the city has got a Pokémon Gym and then say that they'll challenge it once they have caught more Pokémon. 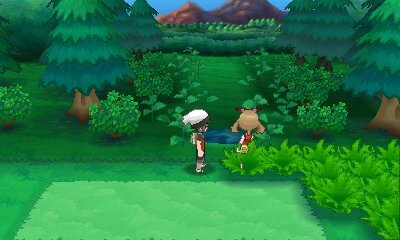 When you first enter Route 112, you will bump into your rival yet again. They will point out the large Mt.Chimney and how they'd like to take the cable car up to it one day. They heal your Pokémon and then give you HM04, Strength, which you can't use until you have the Heat Badge from Lavaridge Town Gym. 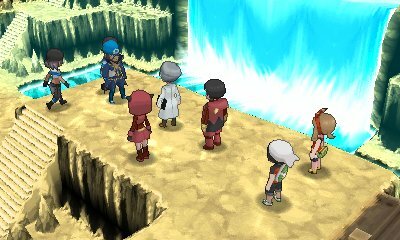 When you reach Fallarbor Town, you will encounter your rival who introduces you to Professor Cozmo, however when you get to Route 114, you will see them chase down Team Aqua/Magma into Meteor Falls after they have kidnapped the Professor. 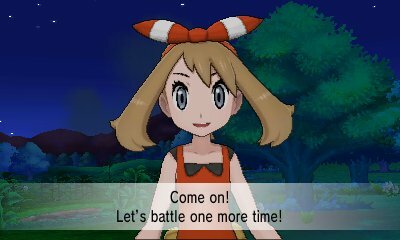 During this, she will help battle with you against Team Magma & Aqua. 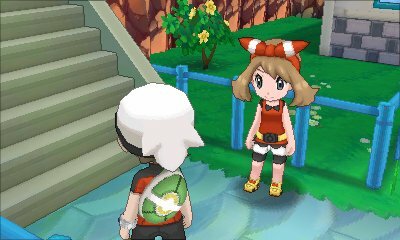 After you have defeated the Lavaridge Town Gym, you will meet up with your rival again, who was a bit worried about you after Team Magma & Aqua. 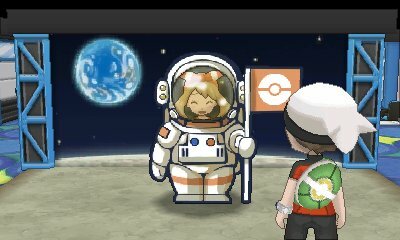 She notices you've got the Meteorite back and gives you the Go-Goggles. She then offers to take you to Petalburg City directly as she is going there. When you reach Lilycove City, you will encounter your rival once again. They will notice how strong you have become and once again notice how your Meteorite is shining. They will then challenge you to a battle to test out their skill. 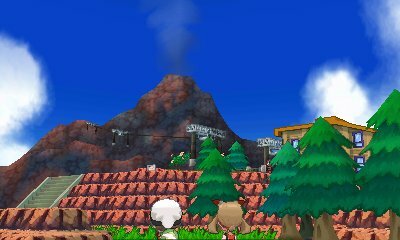 Your next encounter with your rival is in Sootopolis City when the Primal Pokémon have awakened. They will turn up in Sootopolis to give you words of encouragement, calling you the best friend that they have had. Afterwards, they will thank you and advise that you take a break. After you have defeated the Pokémon League Champion, your rival will appear with Professor Birch. They have come to give you advice for your battle with the Champion, but were a little too slow in providing it. They will congratulate you and, during the credits, ride back to Littleroot Town with you. 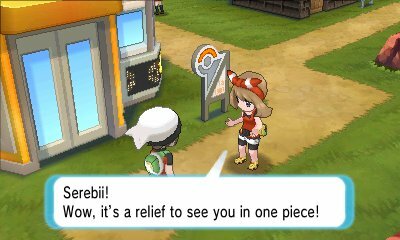 However, in the first time you play the credits, when your characters reach Route 103, your rival will challenge you once more, for old time's sake, and this time they have a Mega Evolution as well. When you start the Delta Episode, you will soon learn that your rival has been attacked and that their Key Stone has been stolen by a mysterious female. During the Delta Episode, it is your task to solve it. Once the Delta Episode is over, you take the Pair of Tickets given to you by Norman and go with your rival to Mossdeep Space Center to watch the Litleonids Meteor Shower. A cutscene appears with you and your rival having fun in the Mossdeep City before it ends and the Delta Episode ends with it..